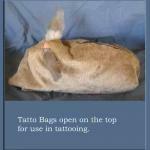 Bunny-Be-Calm Tattoo Bags made of washable sturdy fabric. 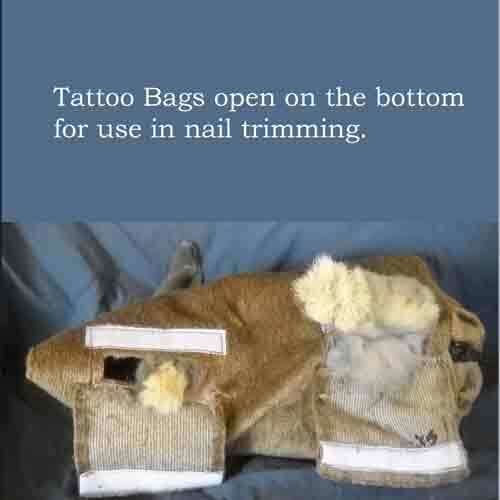 Bag holds the rabbit safely in place for tattooing or nail trimming. Velco closures at the bottom open to allow nail trimming.